If you own car or bike, at some point in time, it will go in for repairs and maintenance. At that point in time the mechanic may replace one or few of the parts. Do you know if these are genuine? Trade in counterfeit and fake components constitutes a large and expanding market.They range from decorative items like grilles and hubcaps to components like brakes that can be critical to the safety of the car and its driver. Fake parts are not only rampant in the case of cars, but are equally popular for trucks, buses and two-wheelers.Though often perceived as a ‘lesser crime’, it has far reaching consequences. The Automotive Component Manufacturers Association of India has reported that up to 20 percent of all road accidents that occur in India are due to counterfeit auto parts.The counterfeiting of parts also affects over 400 companies in India by leading to lost sales and gives a serious blow to their credibility. 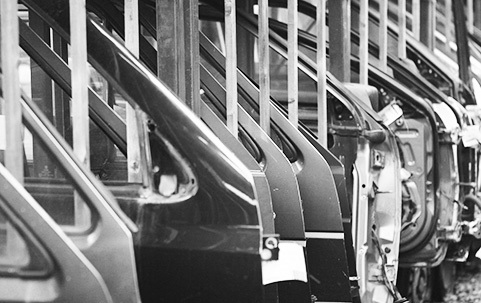 A study by FICCI estimates that the auto industry suffers an annual sales loss of Rs. 9,198 crore, second only to the FMCG industry.To add to their woes, Auto part manufacturers have to bear the expense of monitoring the market and instituting legal proceedings against the infringer. It is considered that counterfeiters are able to flood the markets due to the legal lacuna in the country. While there is a long way to go still, special police cells, CID and EOW of the central crime branch now proactively work towards the eradication of counterfeiting. Over the past decade, companies have also been working closely with law enforcement and conducting raids to bring these fraudsters to the task. Companies are further fighting this battle by organizing awareness programs about the dangers of fakes and undertaking promotional programs in small towns and villages.Auto Brands are also using new and improved packaging, new labels and copy proof holograms to make their products difficult to imitate. Yet, despite the best efforts of individual companies and law enforcement agencies, the widespread sale of fake parts has been increasing rapidly in the country. The Automotive Component Manufacturers Association (ACMA) has estimated the value of fake spare parts in the aftermarket at Rs 10,500-14,000 crore, against about Rs 8,500 crore three years ago! What is puzzling is that the measures which are taken to combat counterfeiting seem to be (comparatively) successful in curtailing fakes in urban retail while the rural and urban areas are still flooded.Even though there is increased awareness and cheaper variants eliminate the affordability issue, why are fake goods still so popular in these areas? This indicates that the answer to the 'stickiness' of counterfeiting with the small retailers could possibly lie in the 'reach' of companies. A closer examination of the behavior of these markets, help clarify why the prevailing practice of companies of not servicing small retailers directly and instead depending on wholesalers has created a Gordian knot for them. 1. The "economically unserviceable" small retailers: Though the majority of the Indian population live in small towns and villages (over 86%), the distribution network of companies tend to be predominantly based around the big urban cities. This lack of direct reach (ie. distributors' sales team servicing retailers in an assigned territory) into these markets is not because of lack of market potential but because distribution decisions are always based on "cost to serve".Faced with a cost trade off, most small retailers especially in the rural or ru-rban areas, are abandoned as not "economically serviceable". 2. Retailers' Dilemma creates fertile ground to foster counterfeiters: Even small retailers have a natural market and are the source for parts for the mechanics and auto owners in their areas. The lack of direct attention of auto component companies creates a serious dilemma for these small retailers who are forced to make a trip to the nearest wholesaler whenever they need merchandise. In order to save on transportation cost (and the sales lost when they shut their outlets), these visits are necessarily infrequent. And with their limited capital, the range they can pick up is also minimal. Moreover, very often there are slow moving products which have gone stale at their store that the wholesaler is unlikely to accept back. So a retailer who picks up merchandise from a wholesaler has to pick up a small range, in large lots by paying cash! The further the retailer is from the wholesaler, more aggravated is this conflict. 3. Counterfeiters' appeal: Over time a community of agents has evolved to solve this dilemma for the retailers. These agents, who are purveyors of counterfeits, service the small retailers frequently at their outlets. The retailers do not have to close their shop, lose sales, transport the merchandise or invest in buying bulk. They get credit and their merchandise yields them a higher ROI, to boot. They are also saved from lost sales on going out-of-stock of a popular brand since they are now able to suggest a look alike or knock off instead to their customer. Soon they stop visiting the wholesaler altogether or does it very infrequently. The small retailers' customers may be tolerant of fakes either out of ignorance or because they have no other choice. Over period of time some these fake brands may even be preferred choice! The counterfeiter's distribution network can only be effectively countered by direct distribution. This is the first step required to prevent the growth of this menace. Any other action taken- on the legal front through raids or through the creation of better awareness- while important, would be futile if taken without the retailers' being serviced directly.Moreover, with a direct distribution system in place and the distributors' sales team visiting these retailers, market intelligence can also be easily gathered. Negligible reporting of counterfeiting is a major hurdle in tackling this menace. Further, the distribution system pushes into the country; the smaller would be the opportunity for counterfeiting. Companies want to increase the reach of their direction distribution. They are intuitively aware that their dependence on wholesalers is dysfunctional. But since these companies believe that it is "cost inefficient" to try and plug the market penetration gap, they have resigned themselves to live with this. But what is generally not realized is that this decision to save on costs by not reaching out with an organized distribution network could actually be costing big time! 1. Brands end up competing with itself! : The wholesaler's modus operandi plays havoc with the company's sales. Wholesalers end up competing for the same market as the companies' distributors – retailers attached to these distributors. This forces distributors to erode their margins since they are threatened by the wholesalers who buy the same brands at deep discounts. With poorer ROI, the distributor finds it unaffordable to service the retailers in his territory with regular beat plans, further eroding sales for the company. 2. Excess Inventory due to erratic ordering: Bulk sales to wholesalers, while attractive in the short term (to meet sales targets), backfire on both the wholesalers and the companies often. Sporadic large orders from small retailers motivate the wholesalers to place even larger orders on the company. This makes it imperative that organizations discard wholesaling and quickly build up their direct distribution coverage.But letting go of wholesaling is scary for most companies. Many companies are wholesalers, themselves i.e. they differentiate the unit price of the product based on who they are selling to and how much is being bought. It is an accepted norm for companies to give lower prices for bulk purchases. This is difficult for top management to accept. But once the direct distribution is established and the beat plans followed conscientiously, the organization would not only curtail fakes auto parts in the market but leap ahead in sales as well.The hesitation of companies to handle the necessary transition holds them back from handling the menace of counterfeit parts effectively.